Petzel Gallery is pleased to present Harvest, the first solo show at the gallery by New York based artist Adam McEwen. Harvest focuses on movement—of the eye, the body, of information—and constraints on that movement. 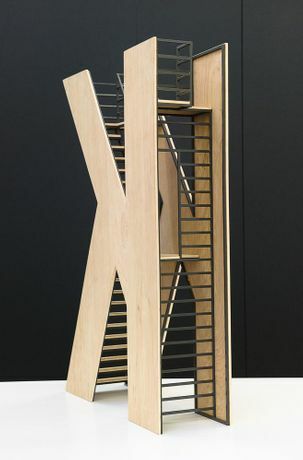 The exhibition comprises three main elements: a pair of sculptures replicating the current model of IBM Blue Gene supercomputer, rendered in graphite (a material closely associated with McEwen’s practice); a large steel and wood staircase sculpture which takes the shape of the letter K; and a group of paintings printed on cellulose sponge, or kitchen sponge, showing interior images of the four tunnels leaving Manhattan. Each of these elements presents movement from a different perspective. The viewer’s eye is caught in the speeding tunnel; the viewer’s body is moved through the K structure, climbing the staircase (only to reach a viewing platform that provides a view onto nowhere); and in the wider world, the viewer’s actions are translated into digital information, which is moved through cable networks and data tunnels. IBM’s Blue Gene supercomputers, made to decipher very large amounts of data, are as objects essentially cupboards, whose sloping design, seemingly influenced by the design of stealth technology and the minimalism of Stanley Kubrick’s 2001 A Space Odyssey, conveys a ruthless competence. Unlike server farms, which are primarily storage containers for data produced online, supercomputers such as these perform trillions of calculations per second to disentangle patterns behind data, with the ultimate aim of predicting behavior. The exhibition’s title, Harvest, stems from the idea of harvesting data and gathering it into server farms. The inversion of the pastoral to the highly controlled mimics the show’s general theme whereby movement evokes a sensation of entrapment and thus a desire to move toward escape. The shape of the letter K originates from the hieroglyph for an open hand. 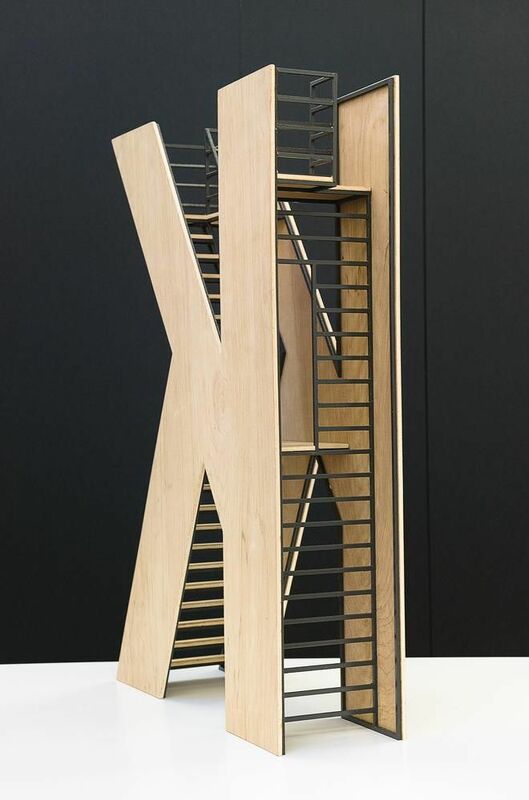 The large three-dimensional letter is dysfunctional when removed from the context of language but apparently functional in a very specific way as a staircase. It offers to take the viewer somewhere else, but falls short, instead sending them back down and around. Today, the letter communicates passive agreement with minimal effort: K. Most famously K is associated with Kafka (and his protagonists K. and Josef K), who depicted a system whose workings are opaque, mute and ultimately inescapable. The tunnel images originate from a video installation McEwen exhibited in 2013, entitled Escape from New York (after the John Carpenter film). In this case, still images of the Lincoln, Holland, Battery and Midtown tunnels are printed on soft cellulose sponge, which shares with graphite the quality of being both momentarily unrecognizable and deeply familiar. In the lobby of the gallery is a group of airport security trays machined in graphite. These particular trays are modeled on the ones found at Heathrow airport in London, McEwen’s hometown. As you move through security, you empty your pockets to prove you hold no items intended to cause harm. It is taken as a matter of course that movement from one place to another is closely shadowed by the threat of imminent erasure. McEwen has exhibited widely in various international solo and group shows including, “Whitney Biennial: Day for Night,” Whitney Museum of American Art, New York (2006); “The Reach of Realism,” MoCA Miami (2009); “Haunted,” Solomon R. Guggenheim Museum, New York (2010); “The Last Newspaper,” The New Museum, New York (2010); “Walk This Way,” White Columns, New York (2012); “Greater New York,” MOMA PS1, New York (2015).